Have a look at our collection of short and simple wishing well wording ideas and inspiration we have put together for you. We understand that asking for a monetary gift may be a little uncomfortable, but we’ll help make it easy for you. 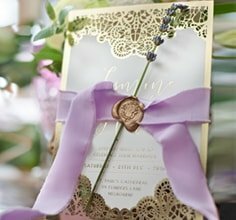 You want to impart this information to the guests attending your special day in a card separate to your actual wedding invitation and in the most clear and comprehensive manner so as to not create any confusion. Many couples struggle with how to word this on their wishing well card, but we will help you do this graciously and courteously. We have put together a collection of wishing well quotes and messages to take away your stress and struggle. Our precious selection of poems or phrases embody simple sayings, are tastefully funny and promise to give you the chance to politely and properly set the expectation of the gift you and your partner are wanting and expecting. The wording of your wishing well card that will accompany your engagement or wedding invitation is important as expected when it comes to asking your guests for money instead of a registry gift. Take a look at what we have put together!